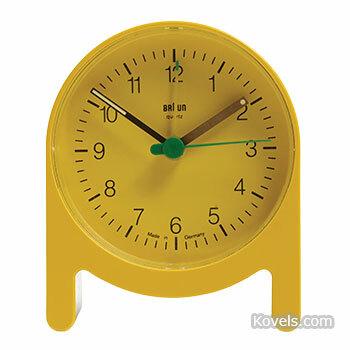 The design of many everyday 20th-century items such as shavers, clocks and radios was inspired by the work of Dieter Rams and his colleagues at Braun, and this 1984 yellow plastic alarm clock is a good example. For more details on these items, as well as his furniture, flip to our article. Americana arts and antiques, including country furniture, is enjoying increasing popularity. Pieces such as this American Sheraton plantation desk are still a bargain for those wishing to add well-made vintage furniture to their décor. 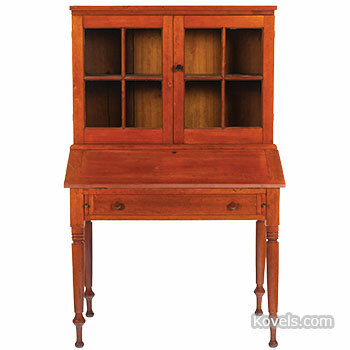 Find more information on American country furniture. Cartoons and comic book lovers were attracted recently to an auction of familiar character toys that included this 1935 Eugene the Jeep doll. Jeep was Popeye’s “pet.” Find more whimsical character dolls and their prices. These decorative glass collectibles graced tables at the turn of the last century. 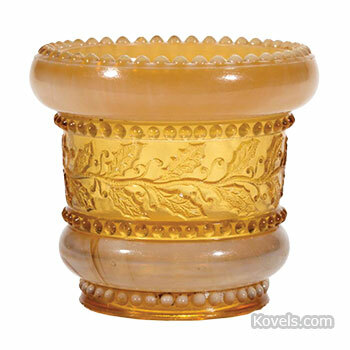 Today, the mugs, pitchers, dishes, serving pieces and even this Holly Amber toothpick holder are wanted by collectors. 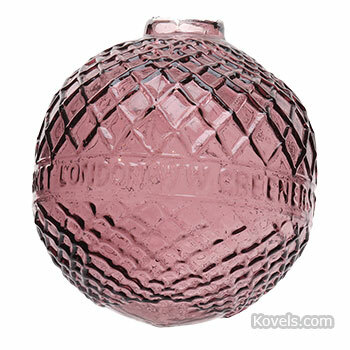 Find more on Greentown glass. A vinaigrette is a small hinged charm or container that held a scented sponge. They were made in many shapes from gold, silver, wood or bone. 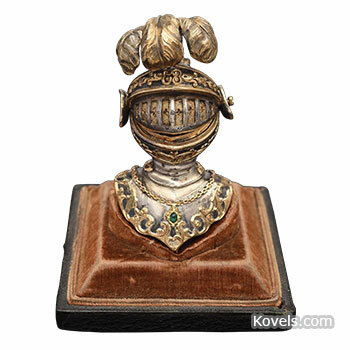 This knight's helmet is made of sterling silver. Follow your nose for more photos and the prices. Moorcroft Pottery has been in business for more than 120 years. 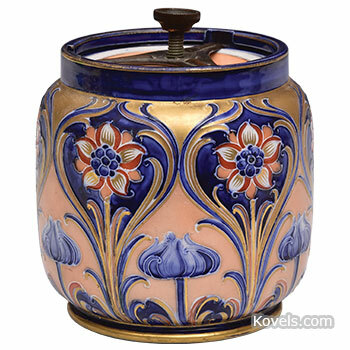 The company created new luster and iridescent glazes and decorated pieces with both English and exotic flowers. This tobacco jar is part of the Alhambra line. See more photos and prices of Moorcroft pottery. German furniture from the 20th century is selling well. 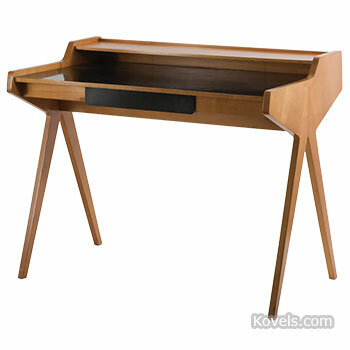 Midcentury pieces like this Helmut Magg desk often feature wood veneers mixed with Formica. They may have plastic and steel. Find more photos and prices in the article. 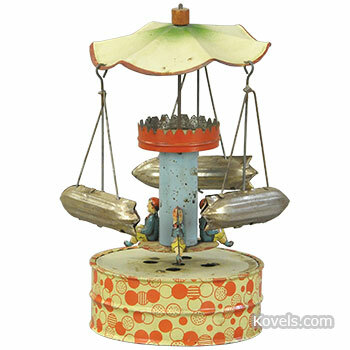 Windup merry-go-rounds and carousels are enticing toys. Figures other than horses, like bicycles, airplanes or blimps, attract higher bids. This German example with zeppelins and children goes plink-plank as it turns. Go around to the article for more pictures and prices. 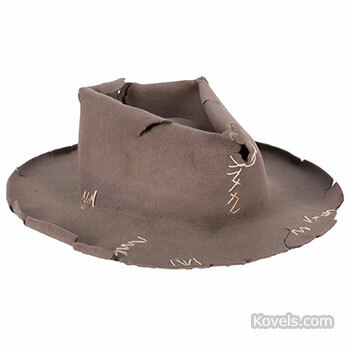 Looking for a collectible that’s different? Try target balls. Don't know what a target ball is? It was a favored sports necessity 100 years ago.